If you haven’t yet stumbled across Darbin Orvar, then you need to step right… over… here. If you’re more of a watcher and not a reader, then do note she has a very active YouTube channel. 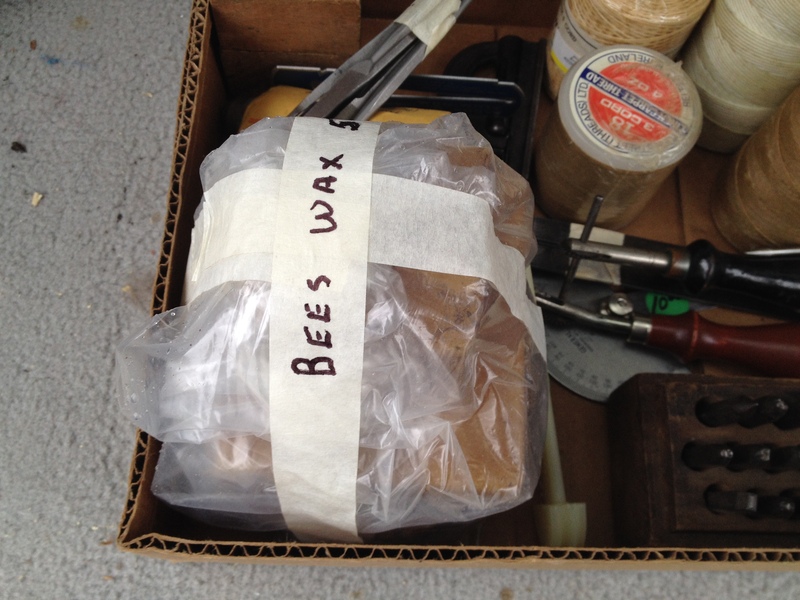 One of her latest videos, which covers 15 uses for bees wax, is not terribly long, but so useful to woodworkers and non-woodworkers alike it requires special consideration. Get a pen and paper and take some notes (or just go to her blog post on the topic), pick up a hotplate and some aluminum pots at Goodwill, and get to it. Oh, what’s that you say? You don’t have any leather to care for, outdoor furniture to protect, fabric to waterproof, nails you want to drive easier/faster, matches you want to light in the rain, skin to hydrate, drawers to slide, wooden spoons to recondition, table saw tops to attend, cutting boards to renew, hand saws to make work easier, fires to start, iron to protect from rust or, ummm… oily Danish people to wax? Yeah, thought so. I’ll wait while you get your pen. I can also put some of those bottles my wife complains I keep squirreling away to good use! Most importantly, she is active. She is energy incarnate! You might not be interested in everything she’s doing, but surely something in her shotgun blast of topics is going to catch your eye. And you’re going to be inspired to stop reading my blog (give me just another minute, though! And just at this moment in time; obviously, I don’t want you to forever stop reading the words that I write!) and get out in your shop and just… build! Even if the end result isn’t perfect, even if you don’t have the most expensive and rare tools or a fully decked out shop! Do! And you’ll learn something and hopefully have fun. She is the embodiment of the motto of that inebriated wooden somethingorother guy… Make Something! By the way… her name is Linn. Darbin is the dog. ← What Are My Options Again? The link to Linn was excellent, Ethan. Ah, thank you, sir! When I see something good, I don’t like to keep it a secret! Looking forward to setting up a double boiler and making some waxy concoctions in the near future! My OCD already kicked in and made labels on the label maker with the mix ratio, ingredients, and uses. Glad to see it, smart girl this Darbin. I liked how she changes the mixture according to its use. Agreed, Julio. Picked up some pots and a hot plate at a Goodwill this evening; I’ll see if I can get something going on Sunday.